Robert J. Meadows is Professor of the Criminology and Criminal Justice. He also coordinates of the Legal Studies minor. He was formally department chair of Criminal Justice for over 10 years. Dr. Meadows received a Ph.D. in Criminal Justice from Claremont Graduate University and a Doctorate of Education ( Ed.D) and masters degree (M.S.) from Pepperdine University. He received his B.S. from Northern Arizona University. 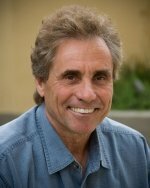 Dr. Meadows has over 35 years of teaching, research and practical experience. Prior to teaching, Dr. Meadows worked as a police officer in Los Angeles (LAPD) assigned to patrol, accident investigation, and recruit training. Prior to CLU, he taught at Kent State University, Ohio, Appalachian State University North Carolina, and Glendale College, Glendale, California. Dr. Meadow’s research and teaching interests include violence and victimization, legal issues in criminal justice, and comparative justice systems. He has authored a number of articles and books. His most recent book now in its 7th edition is titled: Understanding Violence and Victimization. Outside of academia, his interests are hiking, tennis, flying (private pilot) and travel. The criminal justice system; legal issues in criminal justice; violence and victims; experiential learning strategies in criminal justice;body cameras in policing.